Among all the Gingerbread waiting and Nexus S craziness today, this piece of news from the ARM Tech Conference in Santa Clara caught my attention and reminded me once again just how cool and versatile Android can be. David Gilday, an ARM engineer, demoed a LEGO Mindstorms kit controlled entirely by a Nexus One quickly twisting and turning a Rubik's cube, solving it on average in 15 seconds. 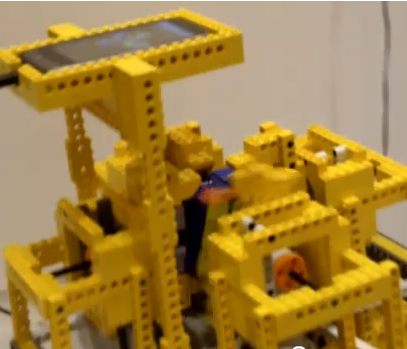 An even crazier demo of a 7x7x7 cube solver, this time using a Droid, follows as well. I don't know about you but I am highly impressed with what this engineer managed to accomplish with a LEGO kit, an Android phone, and days of tweaking algorithms to perfection.